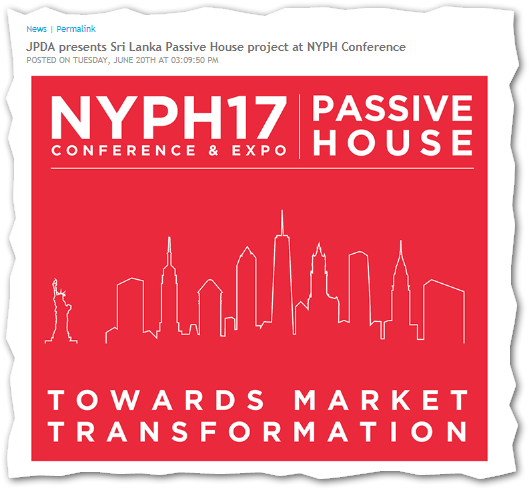 23 October 2018 ArchDaily: Sri Lanka Passive House / JPDA | Sustainable Engineering Ltd.
Certified Passive House is not only for cold climates but that is still where you find most of them. 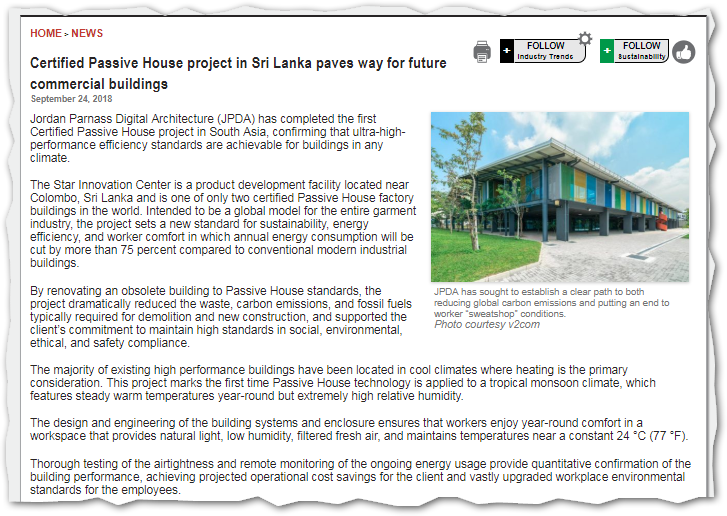 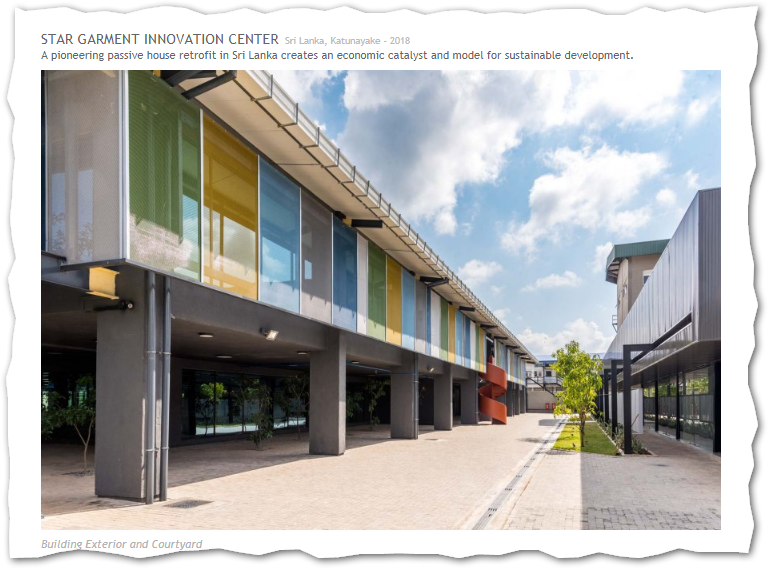 This Certified Passive House Factory is located in Sri Lanka which is a hot monsoon climate. 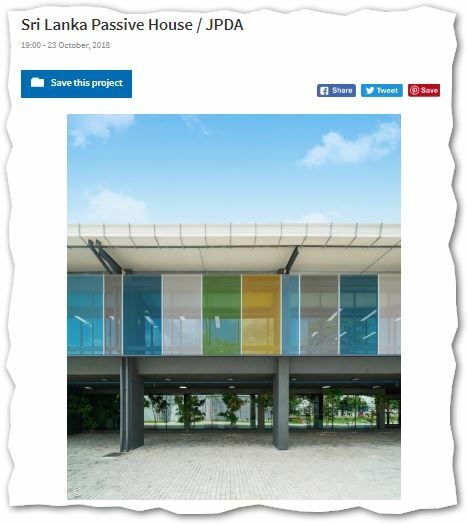 The design team focused on heat gain reduction but still had to deal with the very high local humidity and internal loads of running a factory.